The JGSI meeting facilities at Temple Beth-El will open at 12:30 p.m. for those who want to use or borrow genealogy library materials, get help with genealogy websites or ask genealogical questions before the main program begins at 2 p.m. For more information phone 312-666-0100. In his presentation, Daniel will explain how to build your family tree, navigate across the tree, and invite family members and other researchers to work collaboratively and share information in 42 languages. He will introduce MyHeritage’s various useful family history technological tools — including Smart Matches™, Record Matches, Instant Discoveries™ and DNA Matches — to help find long-lost relatives, uncover historical records about people in your family tree and even add an entire branch to your family tree in one click. Daniel will also talk about the advanced research capabilities that MyHeritage offers and explore the different types of records available in many different languages on the website. 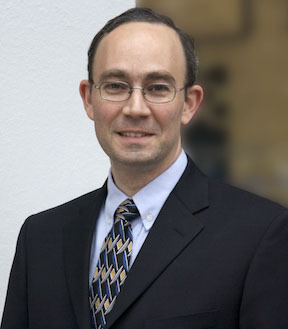 Daniel Horowitz is the Genealogy Expert of MyHeritage, providing key contributions in the areas of product development, customer support and public affairs; contacting genealogy societies, bloggers and media; lecturing and attending conferences around the world. For eight years, Daniel headed the company’s translation department, where he was instrumental in increasing MyHeritage global support to 42 languages. Dedicated to genealogy for more than 30 years, he was the teacher and the study guide editor of the family history project “Searching for My Roots” in Venezuela for 15 years. Daniel holds board level positions at the Israel Genealogy Research Association (IGRA) and the International Association of Jewish Genealogical Societies (IAJGS), among others. To prepare for this session, you can open a free account at www.myheritage.com and start exploring the research capabilities of MyHeritage. MyHeritage is a “freemium” based service: Opening an account to build a family tree is free up to 250 individuals. From that size onward, a subscription is needed. You can use Family Tree Builder software to build a larger family tree of up to 500,000 people free of charge if you keep it on your computer without syncing it. However, a synced tree is better because it is backed up online and gives you Smart Matches, Record Matches and Instant Discoveries. A premium subscription will also give the option to accept/reject Smart Matches and Instant Discoveries; contact the matching tree administrator and extract new information to your tree. A data subscription will give you the option to accept/reject Record Matches, see the actual documents when they exist and extract new information to your tree. The data subscription is also needed to enjoy the research search engine in full (some collections are free). At each regular monthly meeting, Jewish Genealogical Society volunteers staff a help desk that will operate from 12:30 to 1:45 p.m. The volunteers will access online databases and answer genealogical questions one-on-one for members and visitors as time allows. Other volunteers manage the JGSI library, which has more than 800 volumes of interest to Jewish family historians. Many books and journals are available for borrowing by JGSI members for a limited time. All are available for perusing from 12:30 to 1:45 p.m. at each regular monthly meeting.